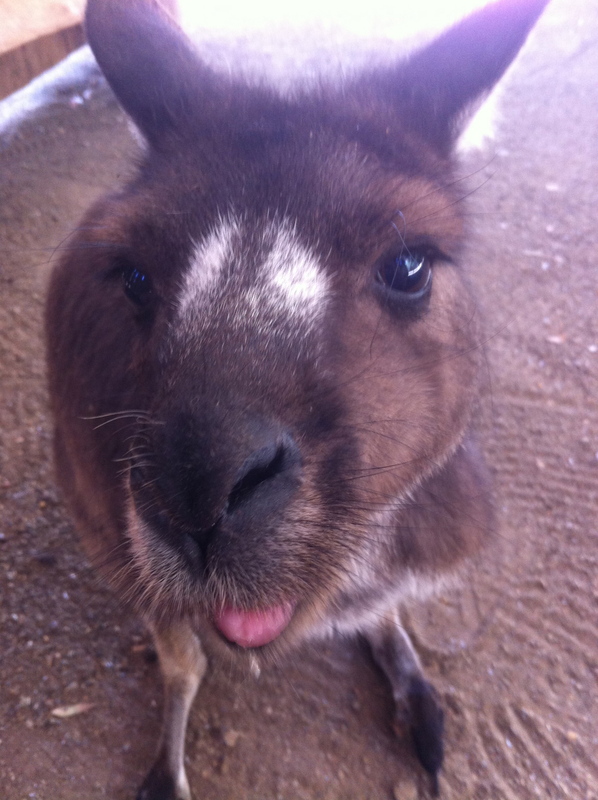 I’ve heard rave reviews about Kangaroo Island. Absolutely amazing – just wonderful reviews! Infact, here’s the ad campaign for it. Pretty schmick, isn’t it! Tell ya what. It was nothing like it – no that’s a bit harsh, but I didn’t see any little kids wearing kangaroo costumes or thin young women staring out of windows or even one bicycle doing sand spinouts on the beach! The whole campaign is a bit misleading. 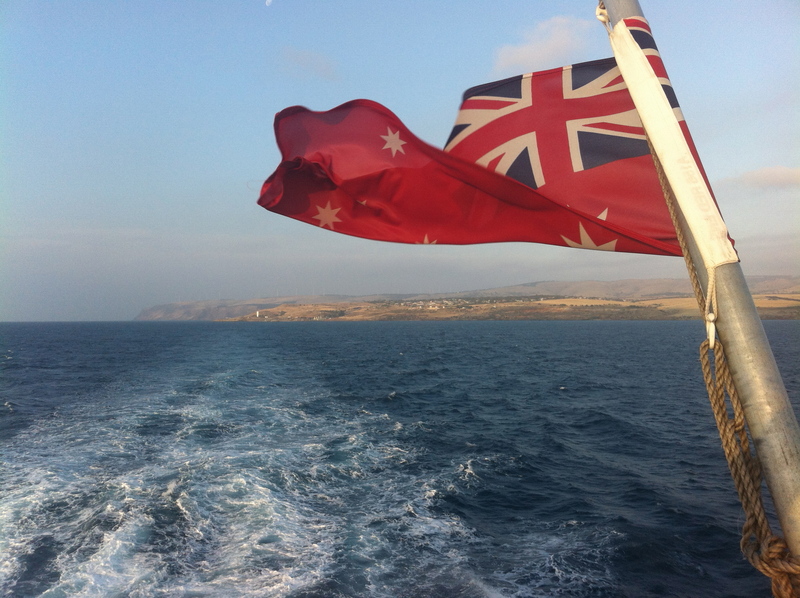 The first impression we had of the island would have to be when we went to purchase our tickets to cross the ‘channel’ over to Kangaroo Island. Being backpackers who hadn’t seen a shower for a few days, the elderly ticket agent learned across the desk (quite bravely might I add – should she caught a whiff of us, she’d probably no longer be with us – but i digress)… She whispered in close proximity… ‘Are you aware of the cost of the ship?’ Well, luckily, I had done all my research online. I was well aware of the price – Car gets first passenger free! We hadn’t even arrived and we were walloped. Wow, okay… well, if’ it’s that expensive, guess it’s gotta be damn impressive over on the island. We paid the lady and drove onto the boat. Happy days. It’s a pretty tight fit. 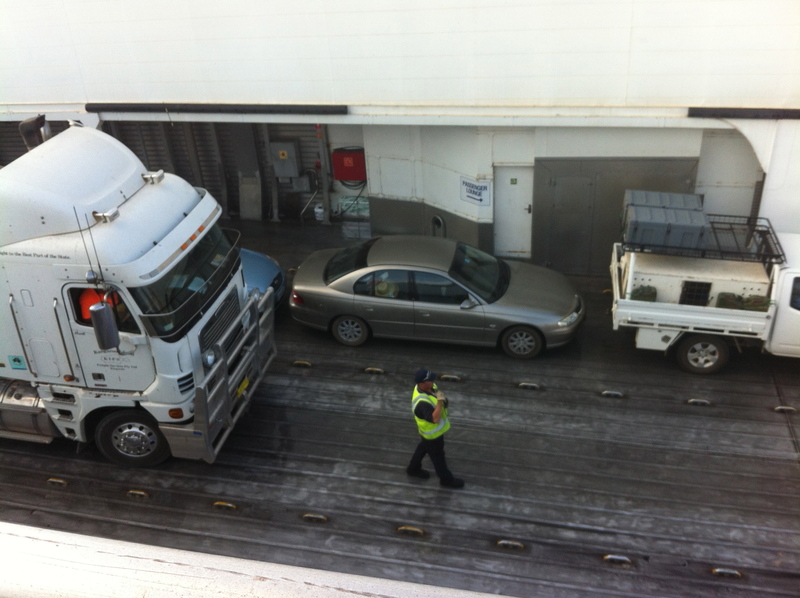 Interestingly they had all different kinds of cars, trucks, livestock and just ‘stuff’ on the boat. Not to mention the gigantic age difference between us and the other passengers by about 30 years – yikes! This is the view leaving Australia – the first time in a long time I’ve seen Australia from a distance. Apparently it was such a stunning day that all the seals, albatross and dolphins decided to go fishing! And, the problem with being on a boat is that you can never get off.. so we were stuck on the boat for an hour and a half while all I wanted to do was jump in and go for a swim! Exhausted from squinting from trying to look at the non-existent wildlife… food was necessary and why not try some of the culinary delights of the island! 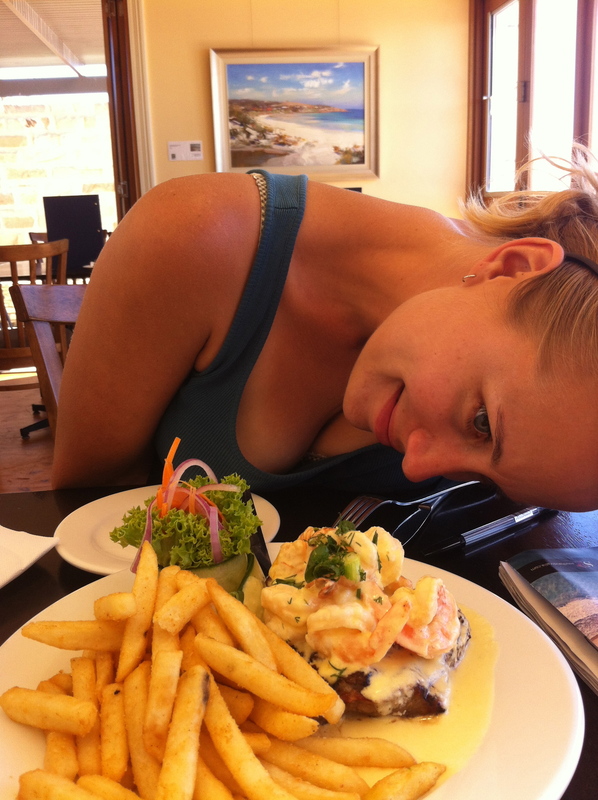 Apparently medium rare on the island means blue… so be careful when you order your Kangaroo Island steak. It was still incredibly tasty! We spent about two days on the island and did enjoy a lot of the local touristy and non-touristy things. Fishing was a big winner – well, spear fishing that is! 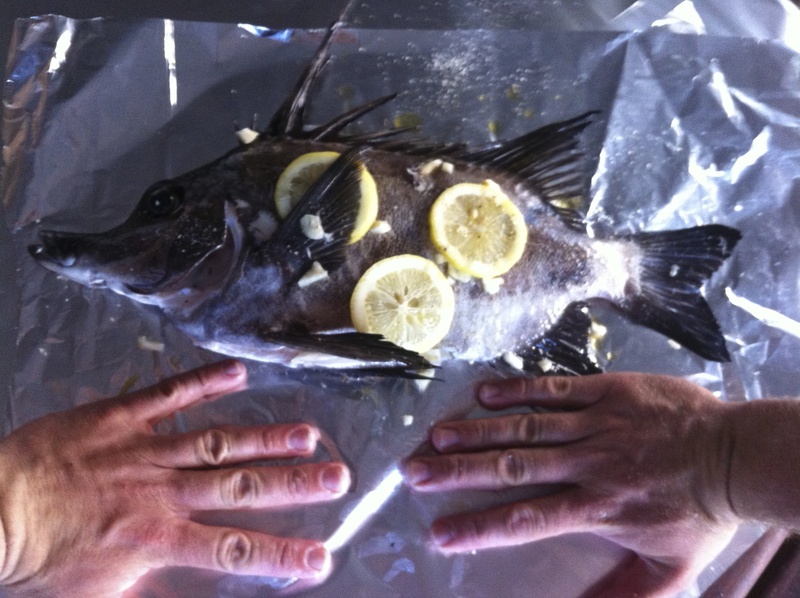 And, here is the result – a beautiful double hand boarfish! 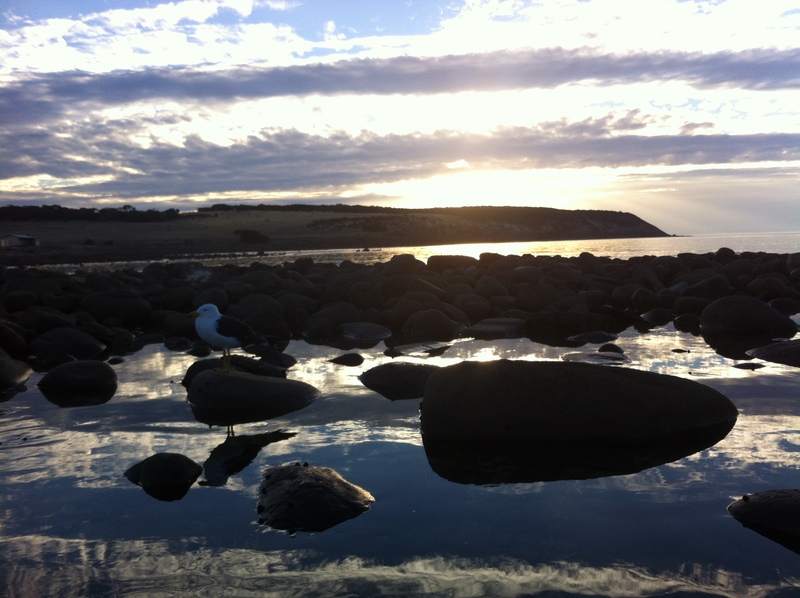 We also had a view to go with our tasty fish – what a sunset! And, a local decided to ‘drop in’ to see if there were any leftovers. There weren’t any. I had the pleasure of K’roo Island in December. Lack of wildlife and absurd cost of pretty much everything: I feel your pain. Nevermind there is only one ferry compsny in operation, so why would there be any competitiveness with rates? That said, the natural beauty of this place is intact and in some parts, breathtaking. I’m not sure I’ll go back, but I’m pretty glad I went! Hope you can say the same. Thanks heaps for your comment! 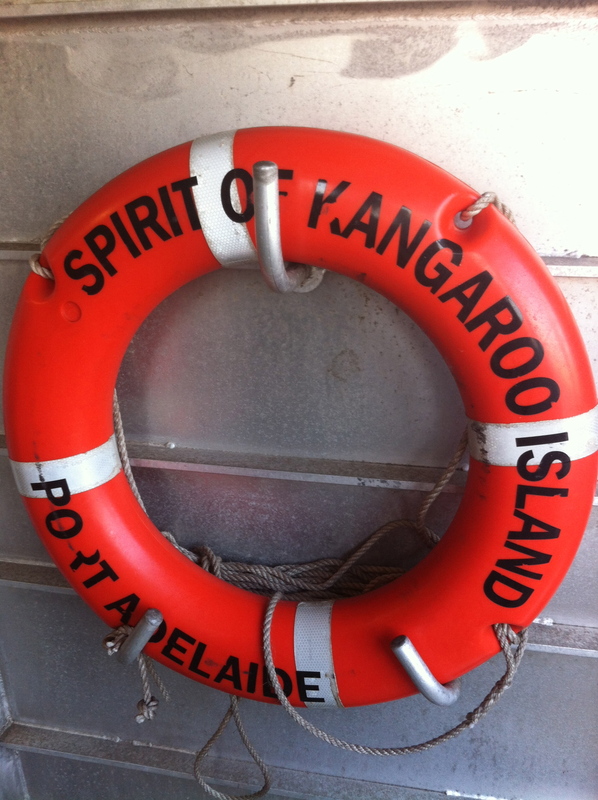 I’ll be posting my ‘part two’ on kangaroo island soon – I’ve got a theory to what happened that made the island what it is now. 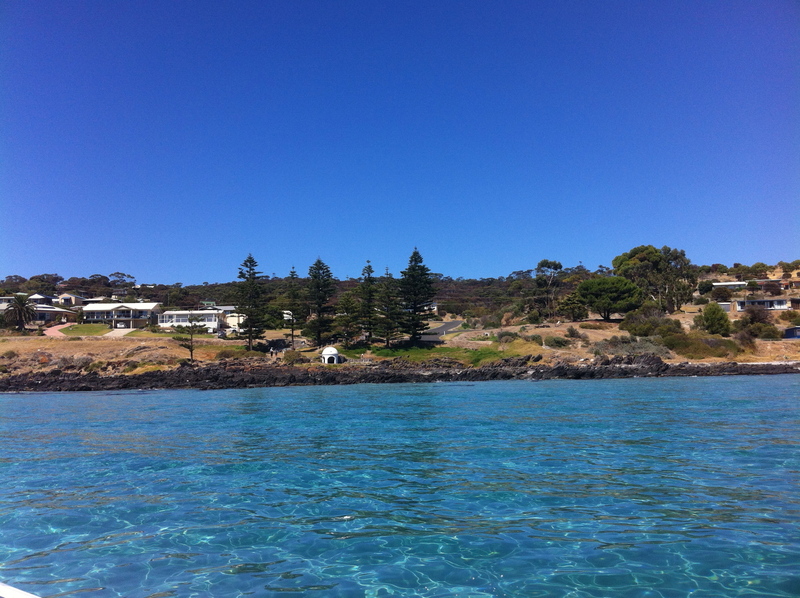 I, too, would probably not return because there’s also incredible places like Coffin Bay down in the outskirts of Port Lincoln which I feel is much more grand and epic than the Island – also, Tassie is probably my most favourite destination in Australia. 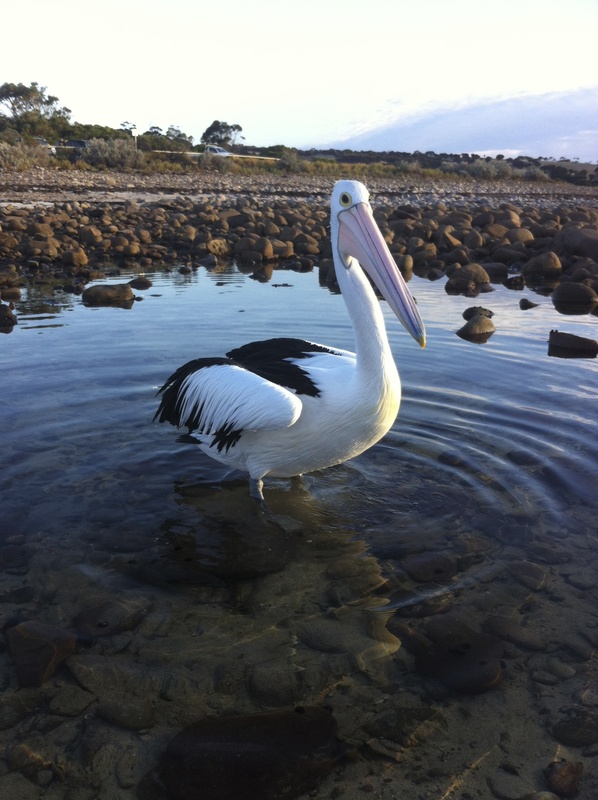 It has everything that Kangaroo Island strives to be. haha! Food that is tasty AND free is always the best type of food.